Heading into a new year! What a blessed Christmas we had. It was an enjoyable holiday for us, complete with Jesus Christ. God has truly blessed us during these past eight months and we are looking for many more of God's blessings in 2012! Until the new year...God bless! Everyone loves "bling" but what better time than Christmas to add some glitter and shine to your projects?! This month we are highlighting Close To My Heart's Glitter Gel available in three different colors: Silver, Bronze and Red and each tube is just $2.75! What a steal! You can find a list of the participating Consultant at Debi's Blog. If you have come from Wendy's Blog you are on the right track! 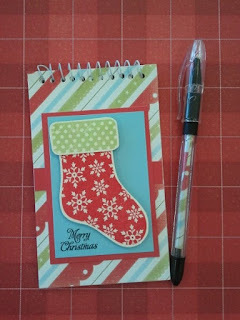 This blog hop is one big circle so start here and continue moving to check out this month's creative uses of "Glitz". 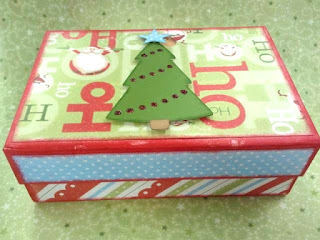 I had fun decorating this My Creations Card Box with the Believe paper packet! I just love the Santa's on there! Would you know I didn't do a bit of stamping to decorate the box but instead used our Exclusive Art Philosophy Cricut Cartridge?! 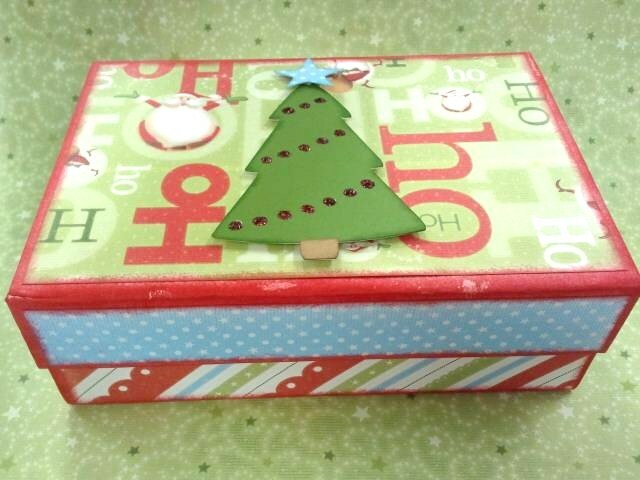 I used the Cricut to cut out the focal points on the top of the box; the Christmas tree and star tree topper. I also used a piece of Desert Sand to accent the tree trunk and finally used the Red Gel to highlight ornaments on the tree. The Glitter Gel is super easy to use and has a fine tip. You can apply it to the finest of areas or spread it across a larger image. Before using it, it is wise to shake the bottle - allowing the liquid and glitter to mix - before using. Be sure to allow ample drying time so that you don't mess up your creation! The amount of drying time required various depending upon the humidity of the room and the amount of application to your project. I would love for you to create an item and incorporate the Glitter, sharing it with me when you are done! Let me see what awesome creation you came up with! 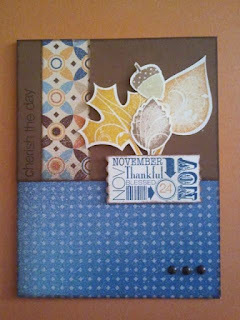 Feel free to leave a comment and then click on over to Cherri's Blog to see what she's created! 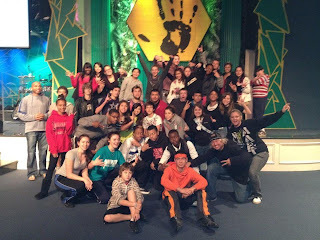 My hubby and I had the honor of accompanying our youth group to a fall retreat last weekend. We were not sure what to expect as I have never been to a church camp before but it was a blessed time. The retreat was held on the property of Texas Bible College. It is located in Columbus, TX in a secluded area of the town on over 1,000 acres. The facilities of the college are nice. I was quite impressed. We stayed in dorm-style rooms stocked wall-to-wall with bunk beds. All 19 of us girls were in one room. We had an enjoyable time. Besides fellowship and receiving great messages, there were also opportunities to play. We played sand volleyball, rode go-carts and...I got to ride a horse for the first time! Yes, I had the tallest horse out of everyone in the group - don't ask (lol) - and had to get a little assistance climbing up. LOL It was a great experience and I enjoyed sharing it with my husband. Of course, my husband had to be entertaining before the ride. I was cracking up! I am thankful for the opportunity given us to attend this event with the youth at DFW New Beginnings. Pastor Huch's ministry has been such a blessing in our life since God directed us there and we enjoy giving of our time to the youth Pastors and the youth. Acting silly as we climbed a tree to pose for some fun pictures! 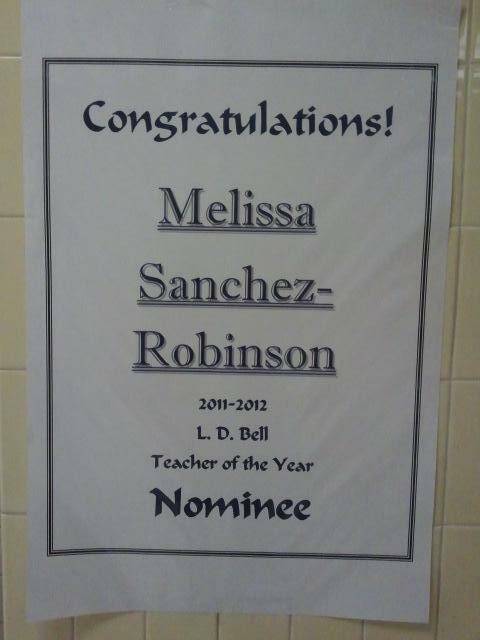 I am happy to share that I have been nominated for Teacher of the Year on my campus this year. I received notification a little over a week ago, from my Principal, and had to submit an application this past Wednesday. I and another Math teacher were selected as nominees and our applications were put on display Friday for our coworkers to view. Voting will take place this coming week with the announcement to be made after Christmas break. Regardless of the outcome, I am thankful for God's favor (especially if you knew of the story behind the last six months) and for the recognition. It is a humbling experience and one that I am extremely thankful for. 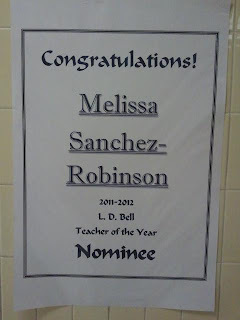 It is also rather crazy that I was selected as Teacher of the Year 10 years ago at Beasley Middle School in Palatka, Florida. Our worship band played at Cowboys Stadium on Saturday for this fun event. We attended and enjoyed touring the stadium. Super Bowl trophies in the background. The Cowboys play the Giants tonight for first place in the division. We will be there cheering them on! 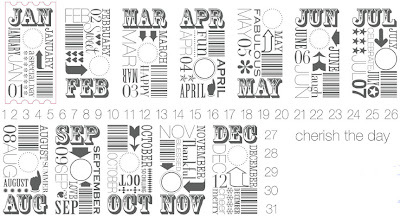 Welcome to our Stamp of the Month Blog Hop highlighting this month's stamp set, "Mad About You". It comes with 14 different images and can be used for much more than the obvious Valentine's events. If you have arrived here from Cherri's Blog, you are on the right track! So... let's get started! This month, and through the inspiration of my friend and downline, Lulu (click here to visit her blog), I used this month's set to create a gift card holder - perfect for this time of the year, in preparation for Valentine's day, or for any event worth celebrating. It measures small in size - with the main piece being 4 3/4" x 7 5/8". Use then score that piece, along the long side, at 3 1/8" and 6 1/4". That creates a trifold that you can decorate until your heart's content. I incorporated our very popular and gorgeous Roxie paper packet and used coordinating colors of cardstock and black ink to finish off the holder. Velcro provides the closure and...what is the pocket made of? I used a SEALED standard-size envelope, adhered the flap and then cut it in half. You can make two out of each envelope or...Lulu glued the two envelopes together, gluing them both to the insides of the holder (it doesn't open fully like this one), so that two pockets are created. One pocket can be for the card and the other pocket for a card for your message! With my variation, I thought the message could be written on the other panel of the holder. EITHER WAY...CUTE and simple way to give a giftcard! Thanks for stopping by! I hope you've enjoyed this creation and will take some time to move about the hop. I would love for you to leave a comment if you so feel led. Now...hop on over to Sheila's Blog! I know she has something great in store for you! Welcome to our Technique Blog Hop! This month there are eleven of us highlighting the "Ghosting Technique" as shown on page 45 in the Autumn/Winter 2011 Idea Book. This blog hop is a great big circle so you can start wherever you want and continue through to see all the fabulous artwork incorporating this technique. If you would like to start from the beginning, please visit this link. While there, you will also find a listing of all participants and their blog addresses if you should get lost or want to reference a blog along the way. Let’s get started! If you are coming from Rachel's Blog, you are on the right track! I incorported the Dreamin' paper packet, wanting to use the Pacifica color to give the idea of an "ocean". The "floral" b&t paper also lent itself to look like creative vegetation on the ocean floor. In any case, I thought it was a fun use of this stamp set. It was super easy to do this technique, embossing with the Clear Detail Embossing Powder and applying Pacific with a Sponge Dauber. I am looking forward to seeing the rest of the creative artwork using this technique. Happy hoppin' as you make your way to Judy Faye's Blog! Feel free to leave a comment. I would love to hear from you! Welcome to our Stamp of the Month Blog Hop highlighting this month's stamp set, "Cherish the Day". This stamp set allows for some great versatility so hop with the seven of us and see what creativity we have to share with you! If you have arrived here from Judy Faye's Blog, you are on the right track! So... let's get started! I love these cute tickets but I wondered what I was going to do with them. I did end up incorporating the Harvest Happiness stamp set and Dreamin' paper packet to make what I feel is a "fally", autumn card. (Yes, fally is a word! LOL) What made this card even better and Faster.Simpler.Easier... I was able to cut the ticket and leaf images out on the Cricut using our amazing Art Philosophy cartridge! Gotta love the time it saves me in creating! 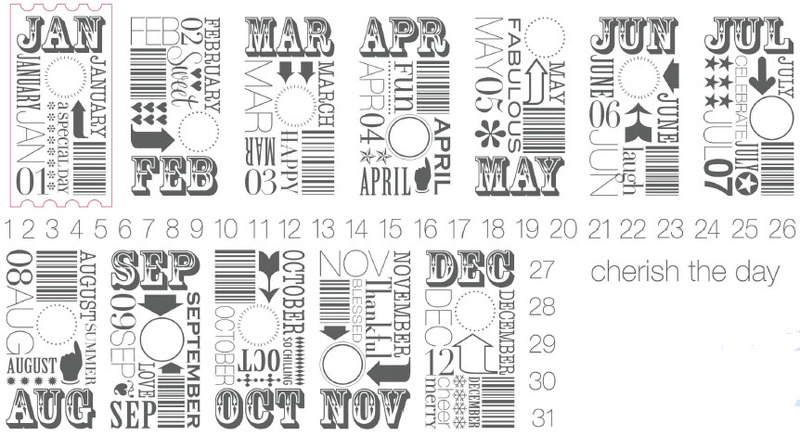 Be sure to add this stamp set on your shopping list this month! I am anxious to create some other fun items with it, for various occasions throughout the year. Thank you for taking the time to stop by. If you find anything inspiring about this card that you would like to comment on, I would love to hear from you! Now hop on over to Cherri's Blog where you will find another inspirational use of this stamp set! Welcome to our Technique Blog Hop! This month there are twelve of us highlighting the "Masking Technique" as shown on page 15 in the Autumn/Winter 2011 Idea Book! If you are coming from Tracey's Blog, you are on the right track! I decided to use the masking technique with the stars, creating my own patterned paper. Using our exclusive Cricut Cartridge, Art Philosophy, I cut out four images slightly larger than what the stamp set called for. Then, I put some light adhesive on the back of each star, and use the Spritz Pen to spray Reinker over the entire sheet of Colonial White cardstock. Upon removing the stars, they left the Colonial White stars, perfect for me to stamp inside of with the Pacifica ink! The stamp set is from the Elementals Workshop-on-the-Go kit. I love the saying you can make, combining two images, to create, "Celebrate everyday moments". Using "celebrate" and one of the smaller, ringed images, I added some additional texture to the background. To finish it off, I added some Colonial White buttons, threaded with Colonial White Waxy Flax. I love the cleanliness appeal of this card and had fun incorporting a variation of the masking technique. Have fun checking out what the other ladies created! Now hop over to Cherri's Blog and see what beautiful artwork she has for you! Need a CUTE Shopping List? Wow! Life really set in when school returned to session. It has been a blessed year but extremely BUSY! I have my hands in quite a few things - from church obligations to Close To My Heart activities, spending time with my hubby and just life's everyday happenings. I am not creating as often as I would like - I would do so everyday from sun up to sun down if I had the chance (lol) - but I am still creating. However, I have neglected posting my creations so I'm going to get caught up and be better about sharing my artwork with you. I am thrilled to be working closely with one of my friends, Angie, who has a little croppin' spot in south Arlington. Later this month, I am offering this cute notepad as a FREE workshop if you join us for a Friday evening crop (otherwise it's just $5)! I love the NEW Believer paper packet! It screams some fun holiday colors but could be incorporated into other themes as well. Of course, it works GREAT with this month's Stamp of the Month, "Holiday Magic". 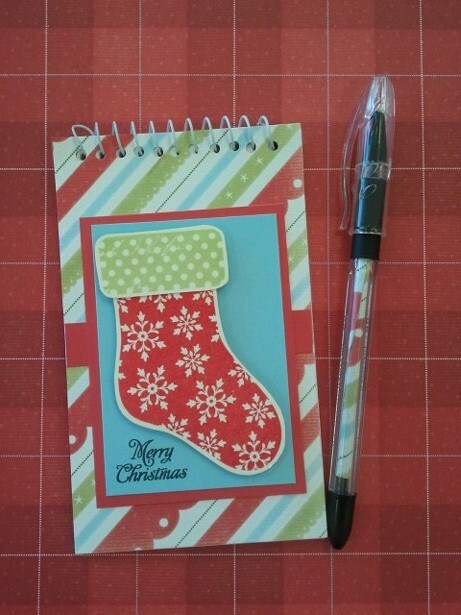 These spiral notepads are fun to decorate - and easy, too - and you gotta love having a coordinating pen to match! I figure this is a great time to start making out your Christmas list and this will definitely serve that purpose. If you live in the Dallas area, contact me for additional details about attending the event on Friday, October 28th beginning at 5 p.m. Welcome to our Stamp of the Month Blog Hop highlighting this month's stamp set, Holiday Magic. 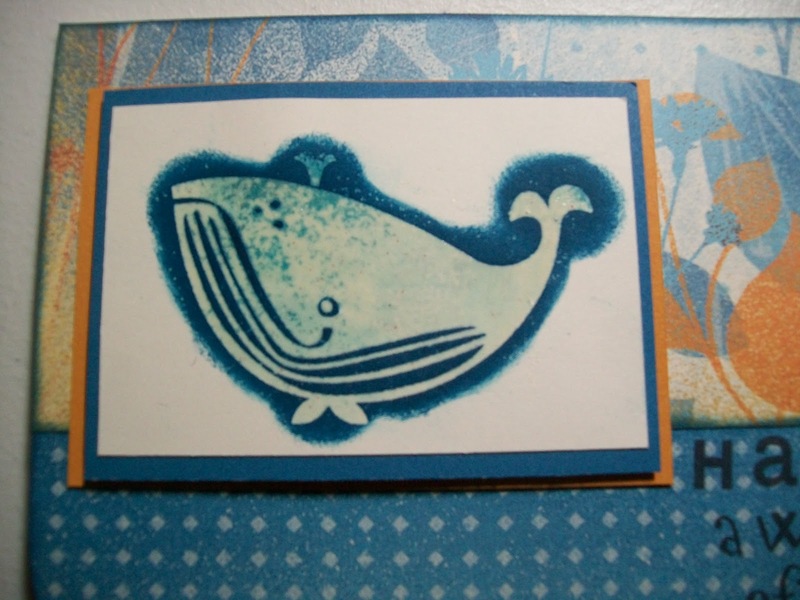 We are thrilled to showcase some fun uses for this gorgeous stamp set! Below you will find a list of the participating Consultants involved in this hop. Feel free to move freely through the hop or follow the links and make one big circle. If you have arrived here from Missy's Blog, you are on the right track! So... let's get started! 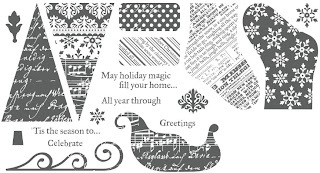 Of course this stamp set screams Christmas! I love the cute and various images contained in this stamp set and look forward to creating additional projects with it. My favorite image is of course, the stocking! The different "tops" you can put on it are adorable and stamp so nicely! I used the Elemental paper packet to highlight this stamp set. It is specifically designed to be Christmas, but I think it works with these colors - Cranberry and Pacifica - and others contained in this paper packet (Olive and Sorbet or any combination of these colors). I used our exclusive CTMH Cricut Cartridge to cut out the tag. Gotta love how easy that makes for cutting out images! Supply List: X7141B Elemental Level 2 Paper Packet, Z1103 Cranberry Grosgrain Ribbon, Z1361 Red Brad Assortment, Inks: Olive, Pacifica, Cranberry. Thank you for taking the time to stop by. I have seen some gorgeous artwork using this stamp set so be sure to make your way around the hop. I would appreciate a comment or two, if you so feel led. :0) It's always fun to see what people think about what I create. Now hop on over to Sheila's Blog where you will find another inspirational use of this stamp set! I wasn't really sure of this paper packet initially, even being an Educator. I think my mind went directly to the assumption I needed to have school age kids in order to use it. :0) I have since changed my mind. A couple of weeks ago I held a workshop and taught these two layouts incorporating the Typeset paper packet, coordinating embellishments and the Typeset Complements Canvas shapes (aka Stickease). We had a great time creating them and I am looking forward to putting some photos on them this week. My husband and I both have earned our Masters degrees over the last 5 years but have no pictures to commemorate our achievements or the hard work it took us to earn them. I told him we are going to dress up one day and take some photos, for this achievement. Welcome to our Technique Blog Hop! This month there are 14 of us highlighting the "Multicolor Motifs” Technique as shown on page 110 in the Autumn/Winter 2011 Idea Book! This blog hop is a great big circle so you can start wherever you want and continue through to see all the fabulous artwork incorporating this technique. If you would like to start from the beginning, please visit this link. While there, you will also find a listing of all participants and their blog addresses if you should get lost or want to reference a blog along the way. Let’s get started! If you are coming from Kelly's Blog, you are on the right track! I made this card using one of our Consultant-exclusive stamp sets which we can use for prizes and little goodies at our events. I love this adorable stamp set - it is so versatile - and really allows for this technique. 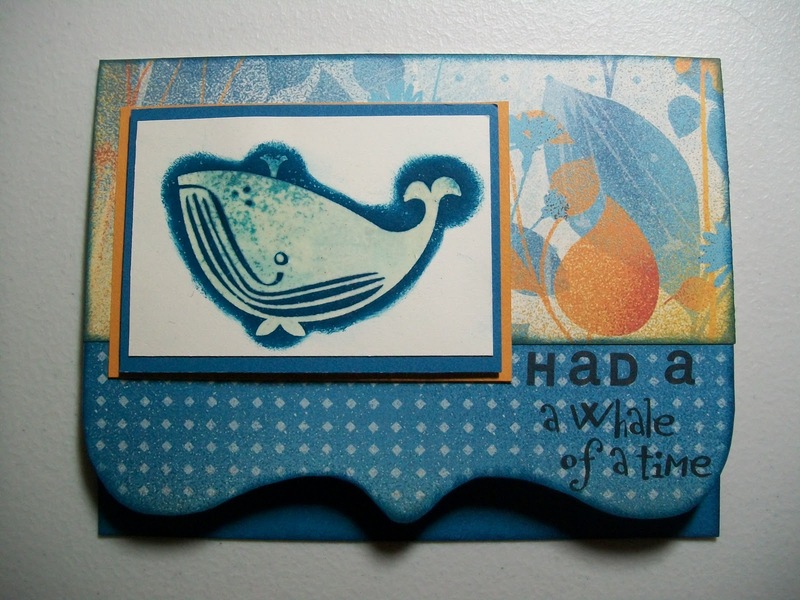 The "Just a little somethin'" focal point on this card is one stamp set. But...using this technique, I was able to color in different parts of this image using three different ink colors. Here is a close-up. Isn't it cool? I inked the "Just a little somethin'" message in Chocolate ink, the heart in Pacifica, and the swirls in Sky. What a fabulous technique to use so they all stand out separately! I incorporated the gorgeous new paper packet, "Dreamin'"
Thanks for stopping by! Please continue onto Rebecca's Blog where you will find some additional artwork highlighting this technique! Be sure to leave a comment and let me know what you thought of my variation and happy hopping! I have had the pleasure of creating these cute cards (at least I think they are cute) using the new paper pack and some of our other newest products. I hope you enjoy them! Have a wonderful Wednesday!